On July 20th, 2018 I was invited to present my research in the Eurac Institute For Comparative Federalism‘s In-House Seminar! I was a guest researcher at the Institute from May to August 2018, and the In-House Seminar provided me with a great opportunity to share some preliminary findings with an expert audience. Thanks to the researchers who came to spend their Friday with me, and for the fruitful discussion and food for thought! Workshop on Diversity in Science! 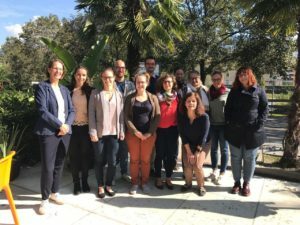 The Max Planck Fellow Group held a joint workshop on Diversity in Science with the TUM Chair of Sociology of Diversity and the University of Innsbruck. The workshop took place in Innsbruck from July 16-18th, and focused on diversity-related contexts (e.g. migration, disability) that were analyzed from different interdisciplinary perspectives (law, political science, philosophy, sociology, anthropology, psychology, education science). The workshop program (in German) can be found here. 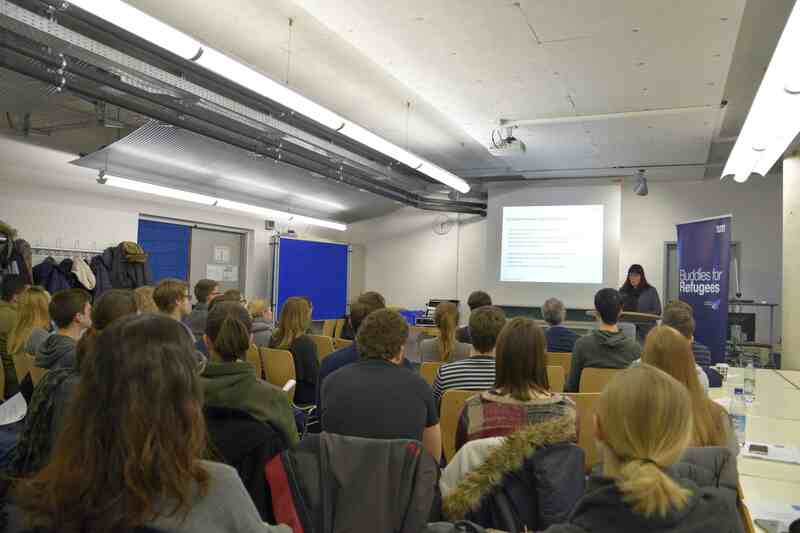 Planet Science Talks at UniBZ! On May 17th, 2018, I participated in the “Planet Science Talks” Series organized by the Free University of Bozen/Bolzano and by the Südstern Planet Science Network as part of the Studium Generale offered by the university. 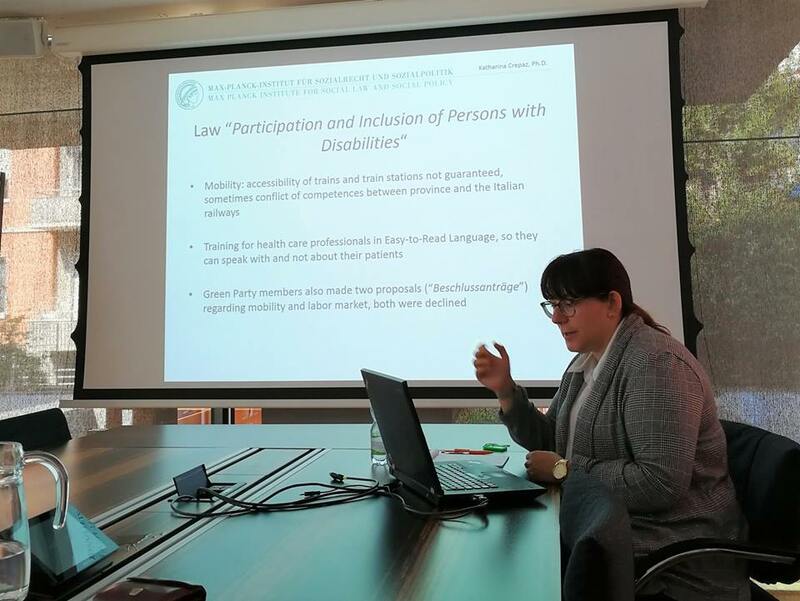 My presentation gave a broad introduction to the inclusion and participation of persons with disabilities in South Tyrol and Bavaria, and I was able to connect with public officials working on the subject as well as with representatives of self-representation organizations after the talk. I’d like to thank Planet Science and the Free University of Bozen/Bolzano for this valuable opportunity to share and discuss my research! I’m delighted to announce that I will be a guest researcher at the Institute for Comparative Federalism, EURAC Research (Bozen/Bolzano, Italy) from May until August 2018. I will be conducting field work for my research project on the political participation of persons with disabilities at the regional level, and I’m looking forward to discuss my findings with the experts at EURAC Research! Presentation at the 2018 “Buddies for Refugees” Kick-Off! On March 22th, 2018 I gave a presentation at the kick-off event for the 2018 “Buddies for Refugees” program at TUM. I had already taken part in the first program in 2015, so I was very happy to be invited back for another talk, focusing on the political and societal events that took place in the three years since my first presentation in the buddy program. More information on “Buddies for Refugees” can be found here. 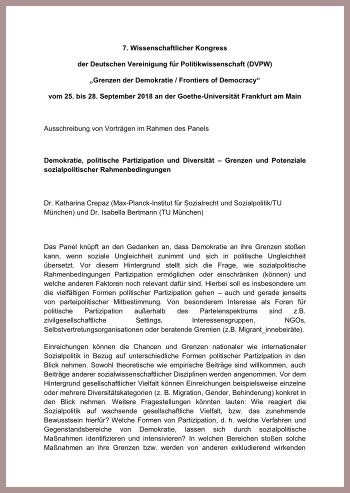 My colleague Isabella Bertmann and I are organizing a panel at the DVPW Congress 2018 “Grenzen der Demokratie / Frontiers of Democracy”, to be held in Frankfurt am Main, Germany, from September 25-28, 2018. Our panel is called “Demokratie, politische Partizipation und Diversität – Grenzen und Potentiale sozialpolitischer Rahmenbedingungen”; we welcome contributions on the relationship between social policy, diversity (e.g. migrants, national minorities, persons with disabilities) and political participation. Papers may be presented in German or English. The complete call can be found here. Please send your abstract to both Isabella Bertmann and myself by January 31st, 2018 if you’re interested in participating. 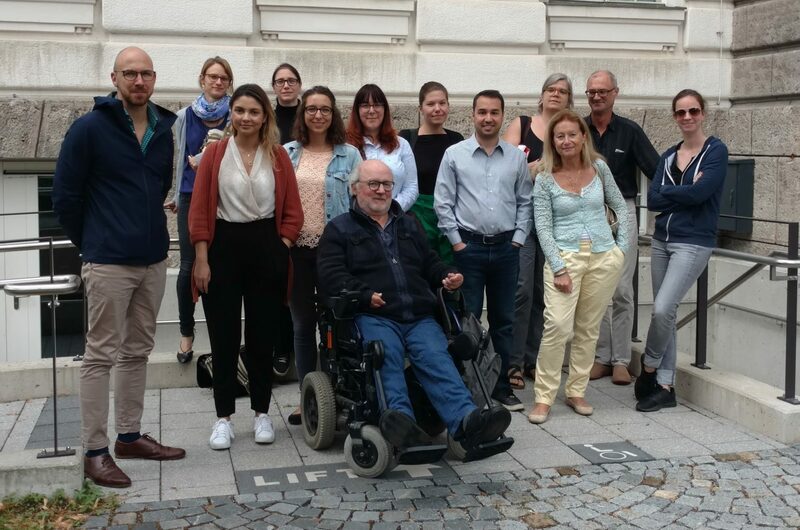 I had the pleasure of organizing a joint workshop for the Fellow-Group at the Max Planck Institute for Social Law and Social Policy, the Chair of Sociology of Diversity, and the EURAC Institutes for Comparative Federalism and for Minority Rights, together with Elisabeth Alber from the Institute for Comparative Federalism. The workshop took place from September 25 – 27, 2017 at EURAC Research in Bozen/Bolzano, and dealt with issues of “participation and governance”. The workshop program can be found here. We’re very grateful for the interesting exchange and look forward to possible collaborations, joint publications or research projects! I had the pleasure of attending two very interesting events commemorating the 40th anniversary of the abduction and assassination of Hanns Martin Schleyer by the RAF. 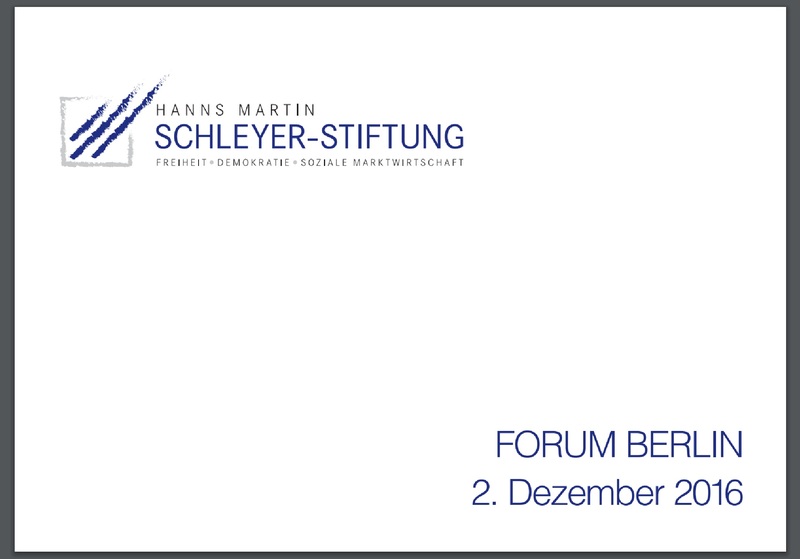 I’m very grateful to the Schleyer Foundation for granting me the possibility to participate in a commemoration ceremony held by the German Federal President at Schloss Bellevue on October 18th, and in a Symposium at the Elisabethkirche in Berlin on October 19th, which tackled freedom and democracy and how to preserve these values in a world of increased security threats. More information on both the commemoration and the symposium can be found here. 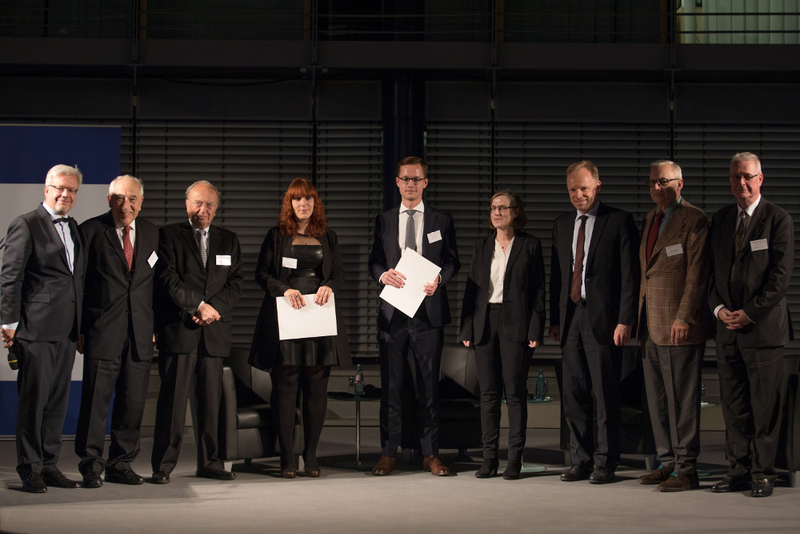 Friedwart Bruckhaus Prize – Some Impressions from the Award Ceremony! 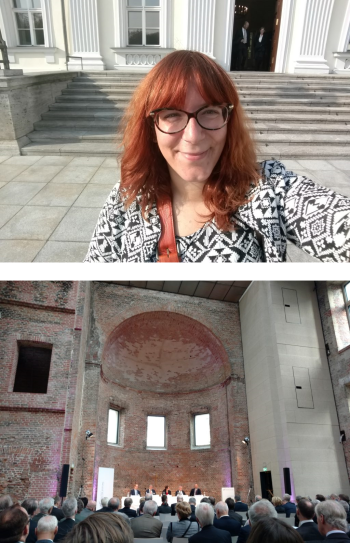 As previously posted here, I was awarded the Friedwart Bruckhaus Prize for young researchers 2015/2016, and I recently went to Berlin to receive the prize during the Schleyer Foundation’s “Forum Berlin” event. The award ceremony was a very illustrous event, held in the Allianz Forum directly at the Pariser Platz in Berlin, just across the square from the Brandenburg Gate. I’ve also done an interview about the prize and my research in general with the colleagues from TUM’s press department (unfortunately, it’s only available in German). You can read the interview here. I’m delighted to announce that I will be awarded the Friedwart-Bruckhaus-Förderpreis (Friedwart-Bruckhaus-Prize) “Europa neu gestalten?” (New ways of shaping Europe) for young scientists by the very renowned Hanns-Martin Schleyer-Stiftung. As a scholar of European Integration, a prize for research on potential future paths for Europe is an especially big reward and honor, and also represents a commitment to the spirit of a connected Europe in times of national borders being reinstalled. The award ceremony will take place on December 2nd, 2016, in Berlin. You can find information about the prize on the Schleyer-Stiftung’s website. The detailed program for the evening can be found here.